Well this is a topic that is near and dear to my heart! I like me some chocolate. Last year for our anniversary Damian surprised me with a Green & Black’s chocolate making workshop with My Chocolate! Good gift or what?! We went to the course in Manchester and spent a few hours learning all about chocolate and got to mix our own flavours and make truffles! We ate a lot of chocolate that day. Possibly too much chocolate. 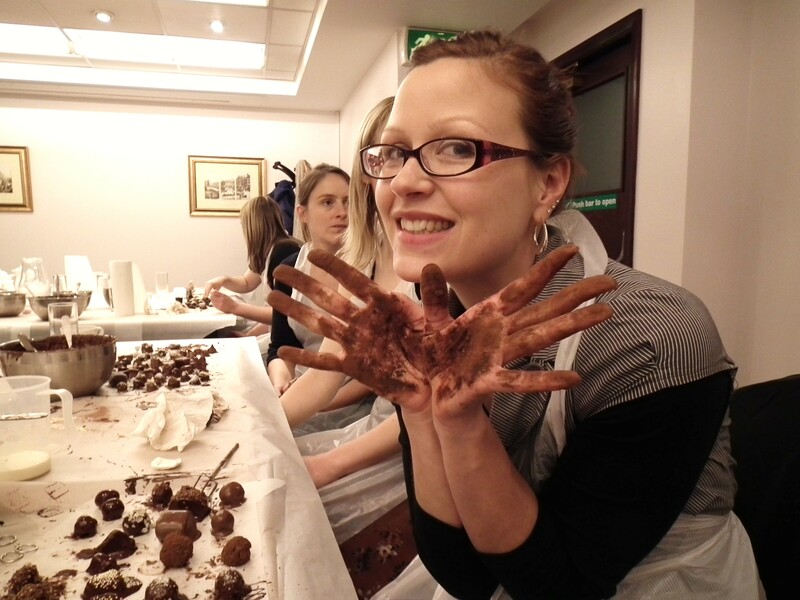 This is me after rolling innumerable chocolate truffles in cocoa. If ever there was an opportunity to include a recipe this would be it. If you’re craving chocolate then brownies are the way to go! 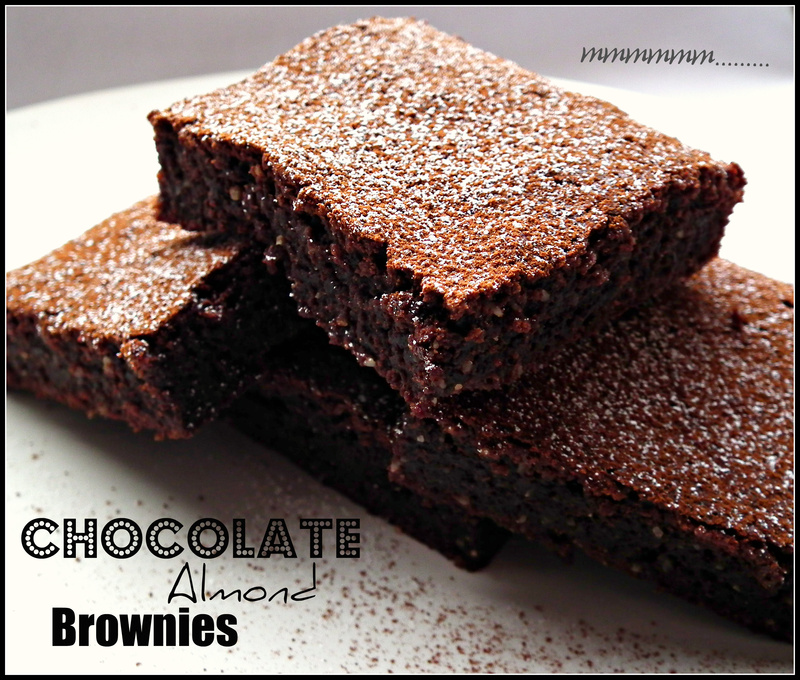 This recipe for Chocolate Almond Brownies is my take on the classic recipe that my mom has made us for years. I’ve made it a little bit healthier, so you can feel less guilt when you eat the entire pan! Turn the mixture into a lightly oiled 8×8 inch square cake pan and bake in a 350 degree fahrenheit (175 degree celsius) oven for 20-25 minutes. Let cool for 10 minutes, then dig in! Makes 9 generous sized brownies. If you would like, you can add chopped nuts and/or chocolate chips to the batter just before baking – about 1/2 cup is good. The chocolate chips stay all melty and make the brownies feel all the more decadent! Tip: You are always best to slightly under bake brownies because you want them to be all gooey and unctuous – always err on slightly under done rather than over. I’d love to know how these turn out for you if you try them. Leave your comments below!